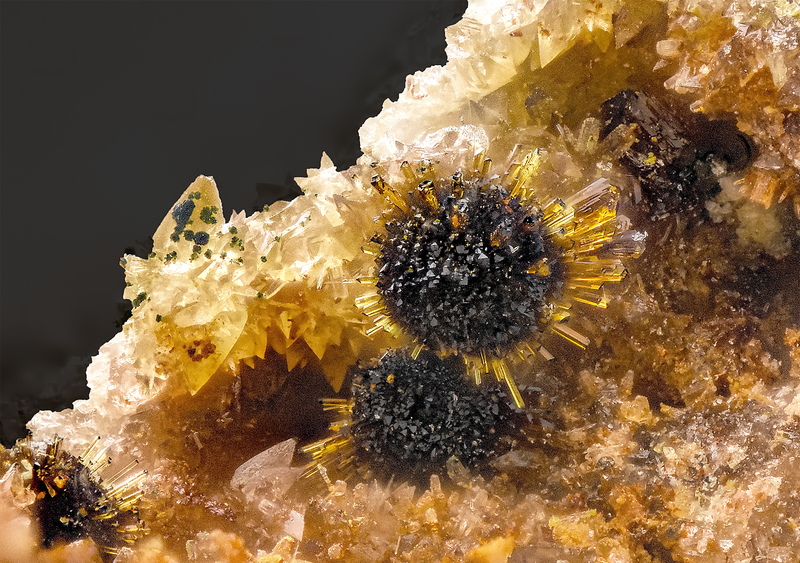 Whitmoreite: Mineral information, data and localities. Named in 1974 by Paul Brian Moore, Anthony Robert Kampf, and A. J. Irving in honor of Robert Whitmore [b. September 20, 1936], mineral collector of Weare, New Hampshire (USA) and owner of the Palermo Pegmatite localities in Groton. Arthurite Group. The phosphate analogue of Bendadaite. Uncommon as pseudo-orthorhombic crystals, prismatic to acicular with chisel shape terminations. In fans, radiating sprays or balls. Beraunite 10 photos of Whitmoreite associated with Beraunite on mindat.org. Rockbridgeite 10 photos of Whitmoreite associated with Rockbridgeite on mindat.org. Ferristrunzite 8 photos of Whitmoreite associated with Ferristrunzite on mindat.org. Strengite 7 photos of Whitmoreite associated with Strengite on mindat.org. Strunzite 6 photos of Whitmoreite associated with Strunzite on mindat.org. Phosphosiderite 5 photos of Whitmoreite associated with Phosphosiderite on mindat.org. Laueite 5 photos of Whitmoreite associated with Laueite on mindat.org. Stewartite 4 photos of Whitmoreite associated with Stewartite on mindat.org. Jahnsite-(CaMnFe) 3 photos of Whitmoreite associated with Jahnsite-(CaMnFe) on mindat.org. Pseudolaueite 2 photos of Whitmoreite associated with Pseudolaueite on mindat.org. Moore, P.B., Kampf, A.R. and Irving, A.J. 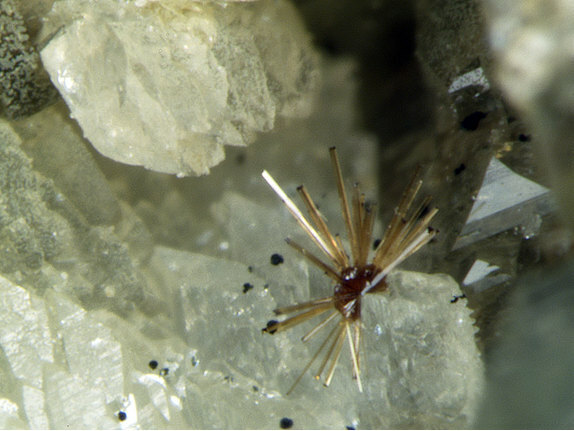 (1974) Whitmoreite, Fe2+Fe3+2(OH)2(H2O)4[PO4]2, a new species: Its description and atomic arrangement. American Mineralogist: 59: 900-905. Anthony, J.W., Bideaux, R.A., Bladh, K.W., and Nichols, M.C. (2000) Handbook of Mineralogy, Volume IV. Arsenates, Phosphates, Vanadates. Mineral Data Publishing, Tucson, AZ, 680pp. : 654. Bull. Soc. Franç. Minéralo. Cristallo. , 1974, 97, p. 523. Vignola P., Diella V., Ferrari E.S., Fransolet A.-M. (2011): Complex mechanisms of alteration in a graftonite + sacropside+ triphylite association from the Luna pegmatite, Piona, Lecco Province, Italy. Can. Mineral., 49, 765-776.
ⓘ Góry Sowie Block ? Rocks & Min. : 70:403; Januzzi (1976) p.234-5. ⓘ Emmons Quarry (Uncle Tom Mountain Quarry) ? P. Cristofono, T. Mortimer, J.W. 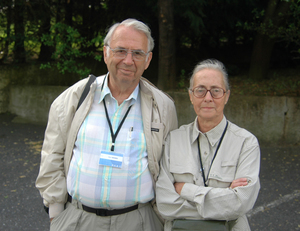 Nizamoff, A. Wilken, and R. Wilken (2011) The 38th Rochester Mineralogical Symposium, April 14-17, 2011, lecture abstracts, page 17-18. Rocks & Min., May 1999.; Geological Society of America Abstracts with Programs, Vol. 36, No. 5, p. 115; NIZAMOFF, J. W. (2004, November). 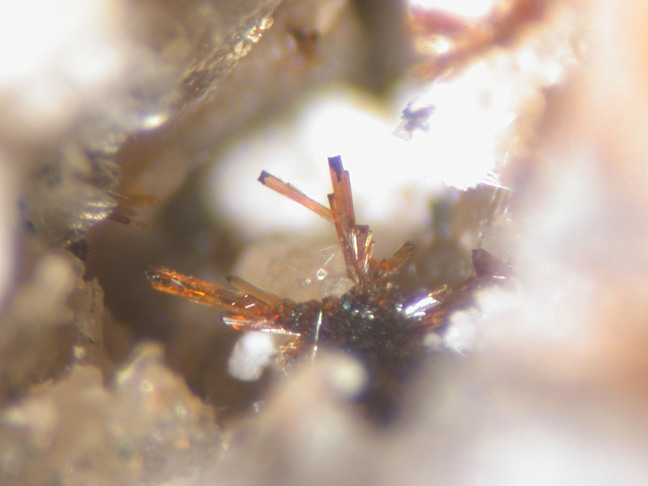 Phosphate mineralogy and paragenesis of the Palermo# 2 pegmatite, North Groton, New Hampshire. In 2004 Denver Annual Meeting.